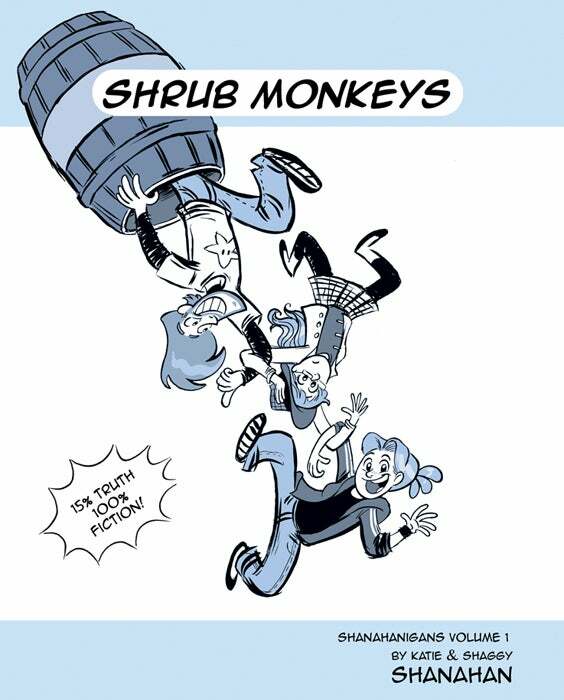 SHRUB MONKEYS: Shanahanigans Vol. 1 is OFFICIALLY available (for pre-order), and what better way to celebrate but a COSTUME Book Launch Party at The Comic Book Lounge in Toronto. That’s right, it’s the night before Halloween, so why not dress up? (we will). Join KT, Shaggy, & HES for food, drinks, prizes, AND a special EXTRA live episode of Shanahanigans Live, co-hosted by the Guys with Pencils, Adam and Andrew.